These birds can be found in coastal areas feeding on flowering trees and shrubs, particularly eucalypts. 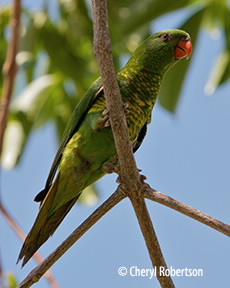 Although smaller and quieter than rainbow lorikeets these lorikeets are often associated with them. 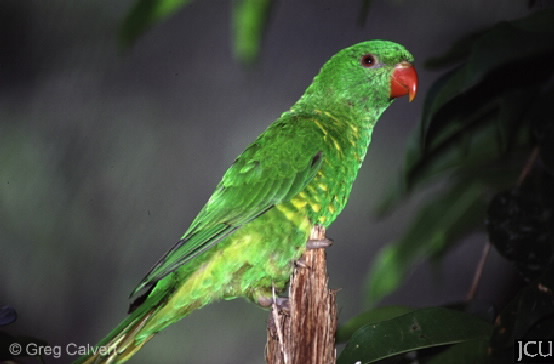 They have a green head and wings, although the under wing area is orange, and the body is green with yellow markings. Legs and feet are grey-brown, the eyes are orange-yellow and the bill is red.